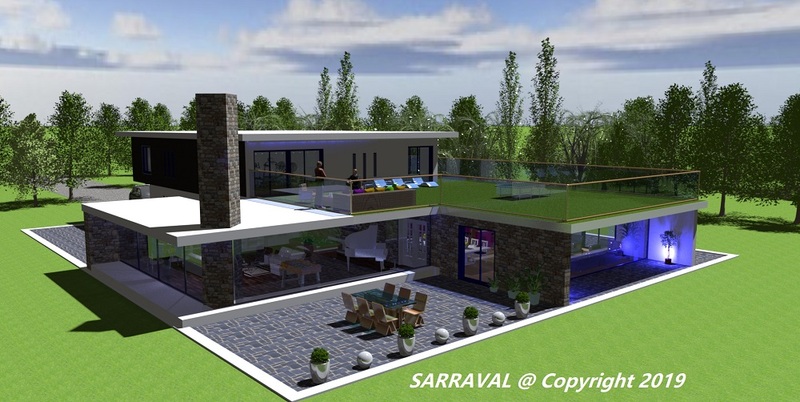 Sweet Home 3D Forum - View Thread - New house in France. Thread: New house in France. That's it, it's over, not without difficulty! Re: New house in France. Let me be the first to say.....it was well worth the time and the effort. Not surprised it took so long with that amount of reflective surface area. Thank you very much for your encouragement, the photos of the interior follow, as soon as they are ready. Whaouh! Beautiful! There are two places for sofas? 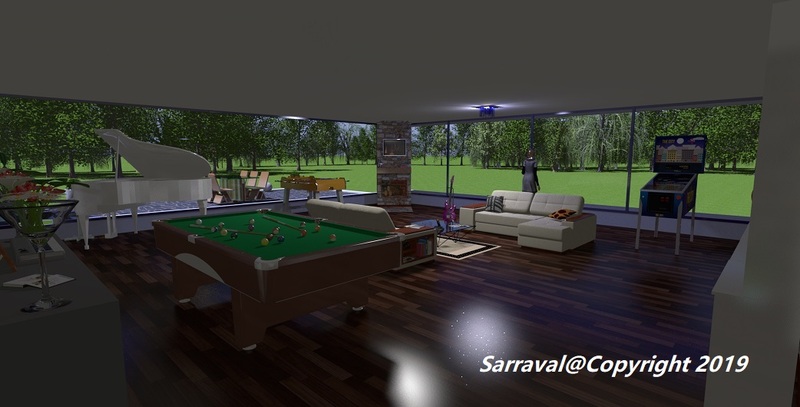 There is a games room, and a living-kitchen-dining room. The house is 1300 m², 3 bedrooms, 1 office, 1 gym, a mooring, a basement with cinema room, laundry. Dinner for 12, seating for an equal amount and 6 at the breakfast bar, i think i would enjoy a dinner party in here. 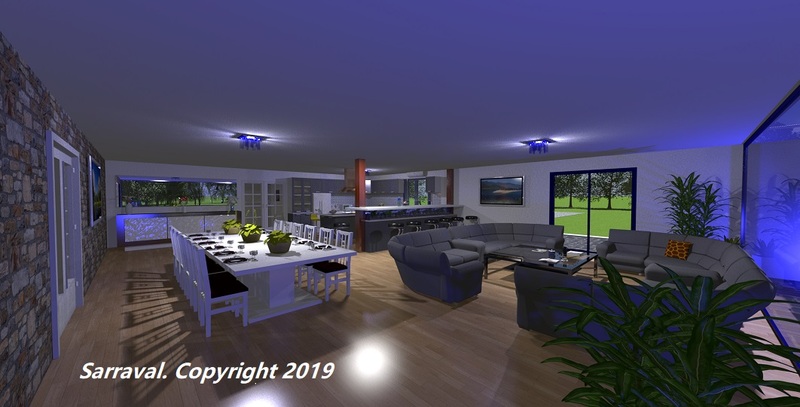 The property design and interior look excellent, only reservation is the unsupported room span, may need extra depth of the floor/roof above. Looking forward to seeing more of these excellent renders.